It’s nothing less than a phenomenon – a runaway train of a drinks trend, hurtling at speed into new and uncharted territory, showing no sign of slowing down and with no one sure where it will end up. It’s more than five years now since Beam launched Red Stag to a sceptical marketplace. It’s 18 months since the category went up through the gears. Today it’s too hot to handle, surfing on a wave of positive sales figures and with flavours morphing from maple and honey to cinnamon and that other hip and happy drink category, cider. We’re talking about a revolution here. And, like every revolution, events can run so fast it’s hard to get a handle as to what is actually going on, or what the fallout may be. As new flavoured spirits drinks flood into the market place on an almost monthly basis, it’s becoming harder to know what we even mean by ‘flavoured spirits’. And, although the producers prefer not to comment too much about blurring the definitions between whiskies, whisk(e)y categories and the world of flavoured spirits, it’s clearly happening. So isn’t there a danger our runaway train will run off the rails? If you think this is unnecessarily melodramatic, consider the fact that even the spirits industry is playing footloose and fancy free with the category. When researching this feature I was offered a contribution from Famous Ginger Grouse – an alcoholic ginger beer with an abv of 4% and normally called a ready-to-drink product. At the other extreme a public relations company offered up Southern Comfort, a long-established liqueur with a strong flavour of orange and its heart in Louisiana. These are obviously not what we mean by flavoured spirits, and nor are we talking about flavoured gins or vodkas. We’re talking about spirits drinks based on whisky – and there’s the rub. European producers can’t call them flavoured whiskies. And that term – spelt ‘whiskies’ not ‘whiskeys’ shouldn’t exist, but it does. Just Google it. Public relations companies representing the biggest players use it all the time – even when they’re talking about American or Irish products. But even they don’t seem entirely clear what they’re actually selling. Jim Beam, for instance, calls its Jim Beam Maple a ‘maple liqueur from the makers of Jim Beam bourbon whiskey’. Its Jim Beam Honey sports similar wording but also has the phrase: ‘Bourbon infused with real honey.’ Jack Daniel’s Tennessee Fire and Tennessee Honey are also described as liqueurs. Scotland, under the wary gaze of the Scotch Whisky Association, has been unable to resist the temptation to jump on the flavoured bandwagon – and not without controversy. 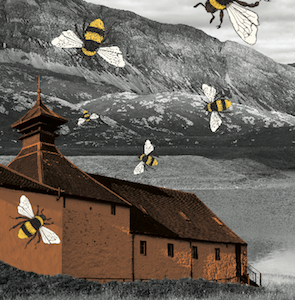 Bacardi was first in with Dewar’s Highlander Honey, and stepped beyond existing European legislation by using ‘blended scotch whisky’ and not using ‘spirits drink’ in its description.